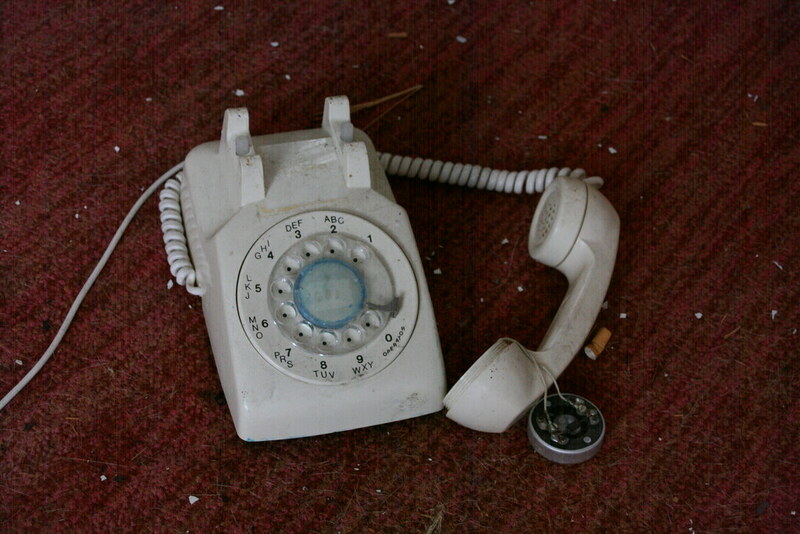 The telephone in the dog room. Looks like a Western Electric 500 series rotary dial phone. Note that unlike other Catskills hotels, this hotel's phone system was modernized in the 1990s, so this rotary phone was an antique even at this location.